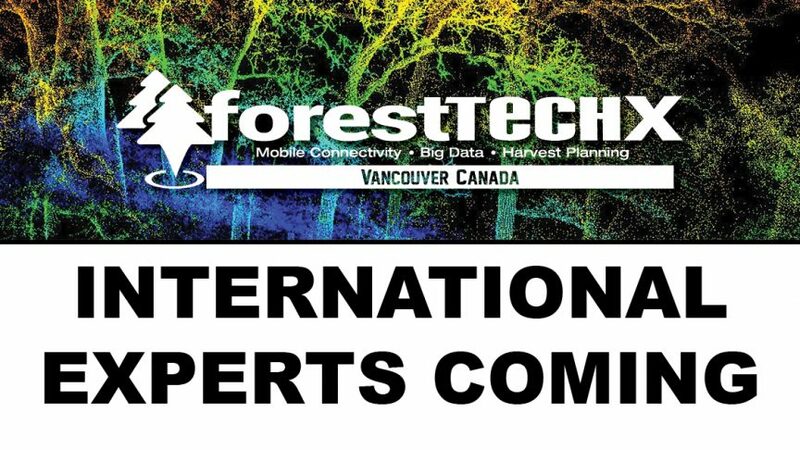 Vancouver, BC – A new international forest management technology conference is set to bring all of the latest inventory and harvest planning technologies from around the world to Canada’s premier forestry city in March 2018. “We’re bringing together the world’s leading technology experts in forestry metrics for our new conference, “ForestTECHX in March 2018 says conference organizer, Anthony Robinson, associate publisher of Logging & Sawmilling Journal (LSJ). In partnership with long-time tech transfer specialists from New Zealand and Australia the ForestTECHX conference coming to Vancouver next March builds on a great track record in the Pacific basin. LSJ’s conference partners from Innovatek have been running ForestTECH in other countries since 2010. Delegates include a strong contingent of chief technology officers, forest managers and information specialists includes all of the leading international forest companies. So, Canadian licencees and private forest land managers stand to gain a lot from the experienced panel of international experts who have come together for this ‘new-to-BC’ conference. Joining the panel of international speakers will be leading specialists in forestry geometrics from across Canada. They will be joined by operational forestry practitioners with case studies showing how leading edge companies have already started to make gains in key inventory processes and harvest planning technologies. ForestTECHX is running on March 6-7th 2018 at the Executive Airport Plaza Hotel in Richmond.